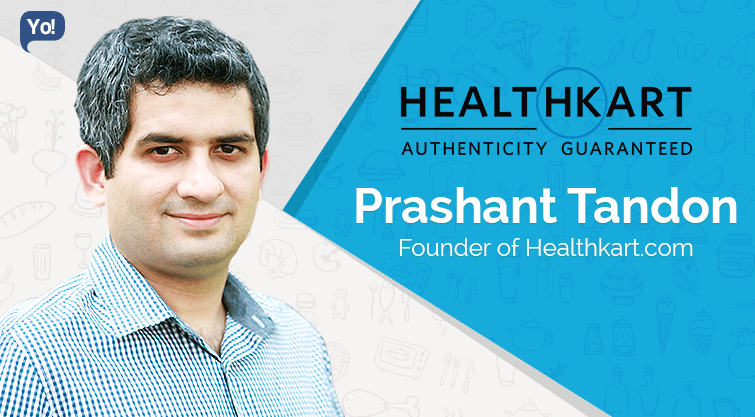 The genius IITian Prashant Tandon is the Founder of India’s #1 Online Health Store –HealthKart.com, an online portal for Dietary supplements and other health devices. The company operates HealthKart Plus which has now been rebranded to 1 mg, a generic medicine search engine app, that leverages the masses to understand medicines better. Both the brands come under the parent company called Bright Lifecare Pvt. 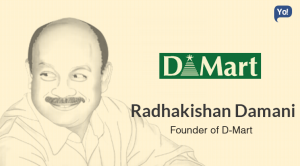 Ltd. and are collectively managed by both the cofounders Prashant and Sameer Maheshwari. After the restructuring of the company, Prashant now acts as the CEO of 1 mg, whereas, Sameer is the Chief Executive of HealthKart. 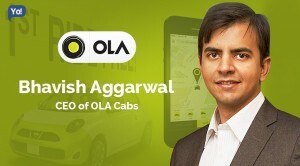 Talking about Prashant’s qualifications; he has completed his Chemical Engineering from IIT Delhi (2002) and is also an MBA from the Stanford University Graduate School of Business, California (2007). Lastly, not many people are aware that Prashant was crazy about sports and has also remained the captain of the Basket Ball team of IIT-D.
Prashant started his career soon after he completed his Chemical Engineering from IIT-D! 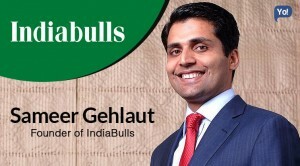 He joined Unilever India as a Business Leadership Trainee in 2002. For a period of one year, he was well-groomed by the company by receiving cross functional training across various divisions and geographies which was mainly aimed at providing them with a thorough experience of how the company did business. And soon after the process was over, he was taken aboard as a Production Manager in July 2003. His work was so commendable that, just after giving in another one-and-half year to the company, he got promoted as the Regional Production Manager in November 2004. 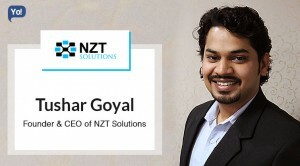 At this post, Prashant was mainly responsible for the product development function wherein he went on to execute the largest re-launch of a brand across 13 countries in Asia. After completing nine months on this post, Prashant moved to Stanford University in California to pursue his MBA in 2005. Now unlike others, instead of wasting time Prashant decided to gain some more working experience and Joined McKinsey & Company as a Summer Associate in 2006 for roughly four months. 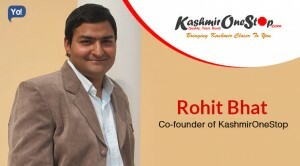 Soon after he completed his MBA, he flew back to his motherland and joined MapMyIndia as their Vice President in July 2007. The company being a start-up, his job profile included setting up the sales organization and systems to launch a new product in the market. 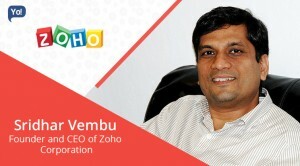 Other than that, he was also a part of the core team which developed and executed the strategy for the firm. But for some reason, this unlike his other stints was rather short and lasted only for 3 months, after which he again joined McKinsey & Company in India but this time as a Senior Associate in 2007. For the next almost 3 years, he dealt with M&A, Joint Ventures, Alliances, Partnership Strategy, basically, Corporate Finance. Along with that, he also took care of Growth strategy for the Access control companies, developing a Growth strategy for leading Tech firms, conducting Private Equity Due diligence in Insurance, etc. In April 2010, Prashant took the scariest step of his life and left McKinsey, and started HealthKart.com! Headquartered in Gurgaon; the now #1 health store in India – HealthKart in a nut shell is an e-commerce store that aims to be a one-stop shop for all the health and fitness related products. Due to excessive amounts of fake products constantly being uploaded in the market, a strong focus on the authenticity of their products is on their priority list. Talking about HealthKart, they follow a traditional retail model, wherein, they stock most of the items that a consumer sees on display, and one can place their orders online. HealthKart is one store, that not only has the reach to the remotest parts of the country which is denied of organised retail, but also is known to be the only one which offers far more as compared to the physical stores. Some of their product list includes: Proteins Supplements, Vitamins & Supplements, Ayurveda & Herbs, Health Food & Drinks, Fitness and Wellness related products. Other than that, free services like diabetes management, tools for weight management & growth charts, vaccine reminders are also offered by HealthKart. To manage their logistics like warehousing and deliveries, the company has partnered with a range of other companies. While Safexpress takes care of their warehousing needs, the delivery end is handled by companies like Blue Dart, DTDC, Chotu, AFL, FedEx and India Post, and many others. So while he was working with McKinsey, he noticed that Health sector was known to be one of the most unorganized sectors and availing good quality health products was an extreme pain-point in India. Clearly, there was a dire need of a company that could offer something in this genre. Additionally, another huge challenge was that there was barely any access to high quality products from all over the world, more specifically in the Tier II and Tier III cities. And being a health conscious person himself, Prashant always wanted to do something in the Healthcare industry too. The best part here was that, Prashant had already been working in the Healthcare segment since a pretty long time. Hence, as he saw an opportunity, he decided to grab it. 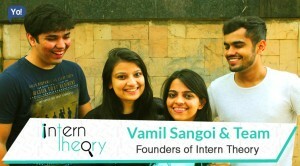 Quickly he got in touch with another IIT-D friend of his, Sameer Maheshwari and shared the idea with him. And as soon as he got on board, with a personal savings of Rs.15 lakh together they started Bright Lifecare Pvt. 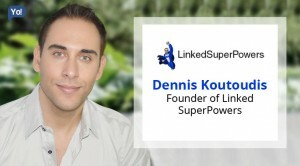 Ltd., the parent company of HealthKart. Now their beginning was rather unusual. Even though they were clear in the heads that they wanted to do something in the Healthcare sector, but exactly what they wanted to do was yet uncertain. Hence, before they started the portal, they went on to try their hands into different sub-sectors. From getting into public healthcare, to providing practice management software to independent physicians and small clinics, they literally tested waters with at least two to three different business models. But nothing seemed to be appealing to them. Nevertheless this turned out to be a learning phase out of which they gained gaining enough experience and understanding of how the healthcare industry works. And when the talk happened, they realised that they actually should and also wanted to be in the B2C (Business to Consumer) segment. 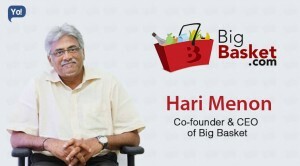 Hence, E-commerce played its role and with 4 team members this gave birth to HealthKart.com! Now if you look at it; clearly, opting for a bricks-and-mortar model to grow would have turned out be extremely difficult due to real estate prices. And that was the time, when E- commerce had just begun to take off in India, and because Healthcare was an untapped market, there was a huge opportunity to become the number 1 in the market. Hence, as they entered the market, they began with an aggressive approach to attract customers and set their base. They also received a good amount of traction in their early days as well. Now as much as it looked good from the outside, the grass still was greener on the other side. Their initial phase was equally challenging for them because, they with a very small team were entering into a new market which had no awareness of this sorts, they had to build a good team to maintain & grow their strong foundation and at the same time, they so far had only invested their own money, so they had to find investors too. To add to that, healthcare is one industry wherein fake products were ruling the market, and authenticity of the products was a huge problem. And the icing on the cake was that, there was a huge gap in the knowledge about healthcare in India and people weren’t much aware of what products they should buy. Hence to begin with; apart from keeping a strict control on gaining and maintaining the customers, they began solving the problems by doing a lot of quality check in terms of making sure that the products are authentic, setup highly advanced call centres to provide end-to-end support to provide an understanding of what products are best for them, got trained nutritionists onboard and also offered free nutrition counselling, etc. 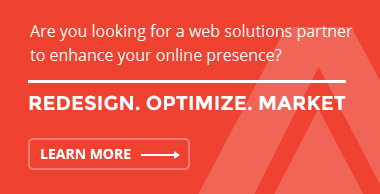 Using these strategies, in a matter of a year; the company began to grow by multiple folds. With an average transaction size ranging between Rs 1,500 and Rs 2,000, the company had completed around 30,000 transactions. 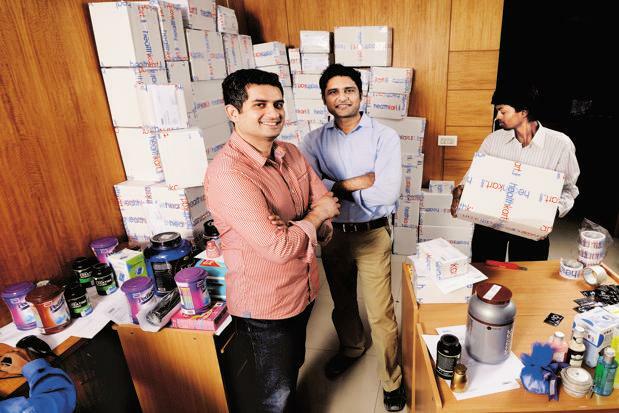 Having sold over 10,000 fitness, health and personal care products across different categories, the company was now shipping up to 800 SKUs (Stock keeping Units) everyday, and were at a stage where they were now generating revenues worth Rs. 2 crores MoM (Month on Month). According to the founders, the major contributors to these figures were the tier-2 and tier-3 (45% to be precise), simply because they now people now have a decent income and want to spend money on a better life, better health products but because they don’t have access to a lot of these products, they lacked behind. HealthKart, which till now majorly sold diabetes care products, home medical and baby products, had also begun to expand its offerings and was now also providing a range of products (10,000 to be precise) under various categories such as nutrition, sports & fitness, personal care, beauty and eye care, etc. To add to that, they had also added a new category called ‘Parenting’ as well. But the highlight of the year was that, the company was soon preparing to turn profitable. And by 2013, the four member company had grown massively to a 300+ member team and was now doing a business of 25,000 SKU’s. In recent events, Healthkart.com separated its generic drug search business HealthkartPlus and has rebranded it to 1MG which will now operate under 1MG Technologies Pvt. Ltd.
1MG is more of like a portal that offers information around medicines, ePharmacy network, eDiagnostics at home, a Doctor Discovery Platform, etc. and can also purchase the same online. Presently their delivery services are limited to Delhi – NCR, Lucknow, Agra, Kanpur, Jaipur, Indore, Bhopal, Amritsar, Ludhiana and Jalandhar, but may soon expand to other cities as well. 1MG currently has a database of about 100,000 medicines along with detailed information about the prescribed medicines, substitutes, usage and it also directs the users to the nearest drug stores where it may be available. It also has a price comparison feature. 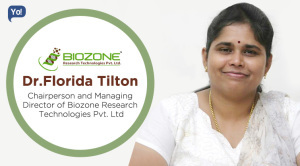 Talking about their growth; in such a short span the company has seen a tremendous organic growth and with over 1.5 million downloads has also become the largest mobile health platform for consumers in India. 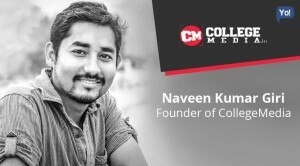 Talking about the company collectively; at the moment, HealthKart & 1MG directly or indirectly competes with several e-commerce players for different product categories such as UrbanTouch, Lenskart, Firstcry, Babyoye, and many more like such. The company is in preparations to enter the fitness services market, and shall be offering gym memberships, wherein it would be offering services of gym trainers and yoga trainers. And in an unlikely yet highly potential move, Healthkart.com will soon also be launching a meal replacement (nutrition shakes) brand as well. Lastly, so far the company collectively has only raised $6M (2015) from Intel Capital, Omidyar Network and Sequoia Capital but is definitely looking to raise $20-$30 million in the next six months. 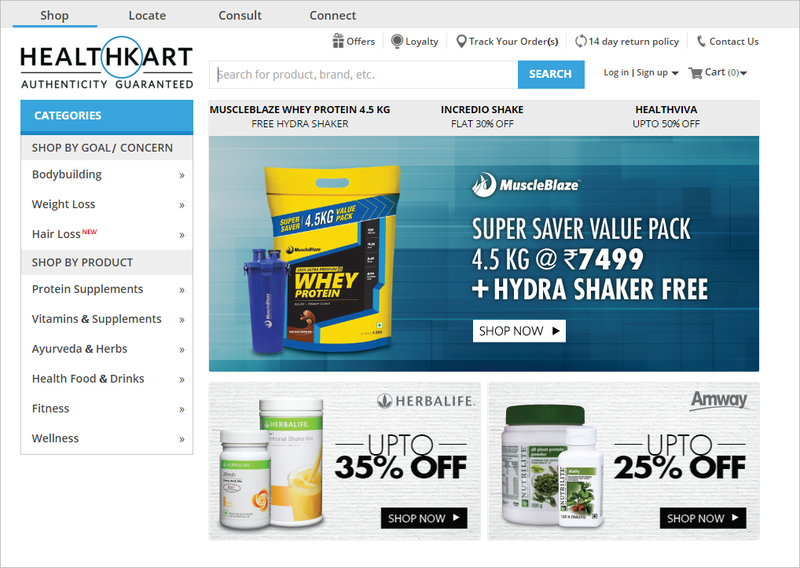 MadeInHealth – In 2012, HealthKart acquired the online fitness and bodybuilding community and supplement store to expand into Fitness, Weight gain, Weight loss etc. Homeobuy – In 2015, 1Mg acquired the online homeopathic drug marketplace for an undisclosed amount and has rebranded it to as 1mgAyush. 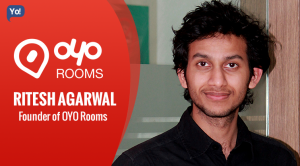 Vivek Singh the founder of Homeobuy has joined the 1mg team.